THIS is to inform the members of the general public and all the students of the University of Ilorin (UNILORIN) that the school senate has releases its Academic Calendar for Undergraduate for the 2018/2019 Academic Session. 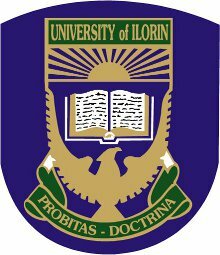 The University of ilorin academic calendar shows a breakdown of the University academic activities for the 2018/2019 academic session. *Subject to Amendments: Wednesdays 4pm-6pm: Lectures Free for Sports activities. Please endeavor to share this info with your friends on twitter and Facebook. since d date for end of late registration for freshers is nov 25, d second list shuld b awt b4 dat tym ryt?? Who knws, dey re jst unpredictable, let dem jst stop all d manipulations nd release wot dey ave to release, corruption is really far frm leaving nigeria.